Rock Climbing is fast becoming a favourite pass time in Malaysia. Unfortunately, so are the injuries associated with it. 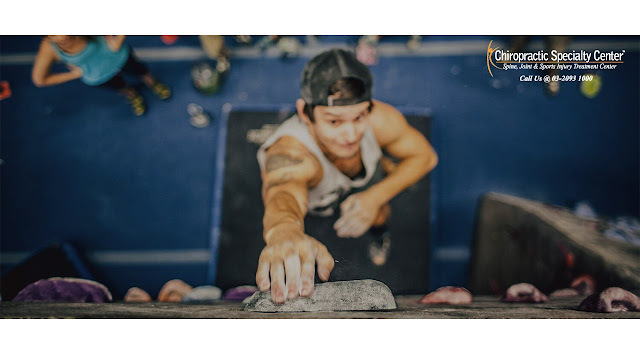 As such, we at Chiropactic-in-Malaysia have decided to write a bit about what you can do to avoid injuries and even treatments for the injured rock climber in Malaysia. Climbing can be performed indoors or outdoors, and there are different climbing activities. It can be a competitive sport such as bouldering and sports climbing, or it can be a traditional recreational climbing, ice climbing, and mountaineering disciplines. The most common climbing injuries from indoor climbing are overuse injuries in the upper limbs. Tendonitis, carpal tunnel syndrome and stress fractures in the fingers and wrist account for 75-90% of indoor climbing injuries. Climber’s finger, an A2 pulley partial tear or rupture of the ring finger is commonly presented in elite competition climbers. 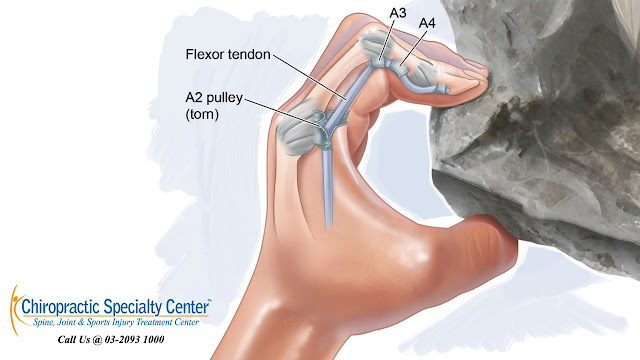 A slight tear of the flexor tendon annular pulleys may be asymptomatic when the finger is at rest, but the base of the finger may become painful when gripping a hold. In some severe cases with multiple complete ruptures of the annular pulley, the affected finger may result in visible bowstringing. The most common traumatic injuries are due to falls while leading an outdoors climb on natural rock. Experienced climbers were more likely to be injured during the activity. There is limited evidence that suggests warming up and taping the fingers between the joints can decrease the risk of ruptures. But there is some research reported that post-injury finger taping for at least 12 months is beneficial during climbing. Taping over the proximal phalanx may decrease the risk of bowstringing. It is important for climbers and coaches to recognize early signs and symptoms of overuse injuries such as morning stiffness and decreased fine movement control. If you happen to be unlikely enough to have been injured during your climb, we can help. 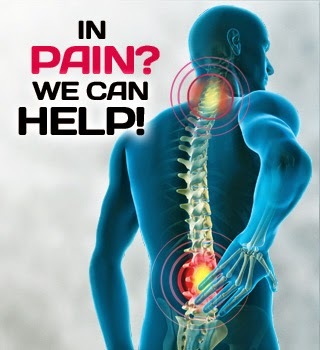 Chiropractic-in-Malaysia, as practiced by our clinical teams of physiotherapists and chiropractors, have the best non-surgical treatments for you. For more information or enquiries, please contact us at 03-2093 1000. What will your Life be Like when you RETIRE? Copyright ©2007 - 2018 Chiropractic Specialty Center® Sdn. Bhd.. Powered by Blogger.